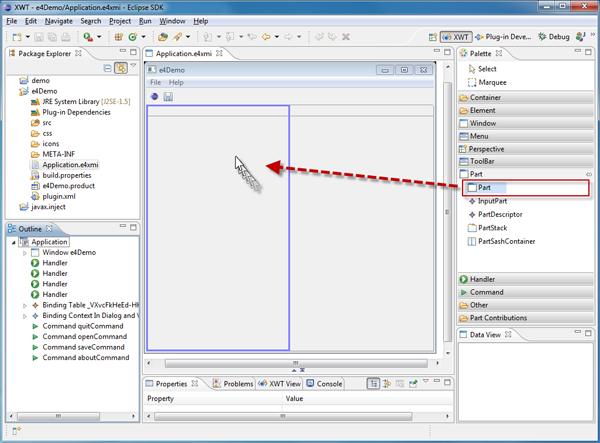 Just two days ago the 5th milestone of e4, the revamped version of the Eclipse platform, was released. One of the most significant parts of the release is that it's the first build of the Eclipse SDK on top of e4 technology. You can download M5 from http://download.eclipse.org/e4/downloads/drops/S-1.0M5-201004111600/. By downloading the all in one version you'll be able to get started with e4 straight away. 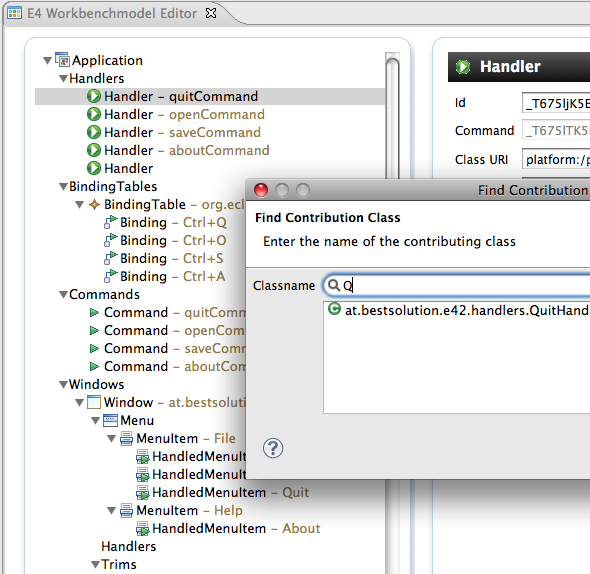 The e4 workbench is based on an EMF model, and an advanced editor is provided that allows users to edit the workbench model at design or runtime. I'll be using M5 as the basis for my upcoming e4 tutorial series. My plan with the tutorial series is to get you started with e4 quickly, and to introduce the main concepts and improvements that it brings for developers.